You'll be £19.99 closer to your next £10.00 credit when you purchase Broadmoor Revealed. What's this? - Richard Dadd, the brilliant artist and murderer of his own father. - William Chester Minor, veteran of the American Civil War who went on to play a key part in the first Oxford English Dictionary. - Christiana Edmunds, 'The Chocolate Cream Poisoner' and frustrated lover from Brighton. Broadmoor Revealed became the most popular history e-book of 2011, and now this new expanded and revised edition celebrates the Hospital's 150th anniversary.' As reviewed in The 'Times Literary Supplement' and 'Real People Crime Confidential'. Each chapter is jam packed with information taken from the archives, building up a picture of Broadmoor as an institution, the patients that resided inside and events that led them to its door. 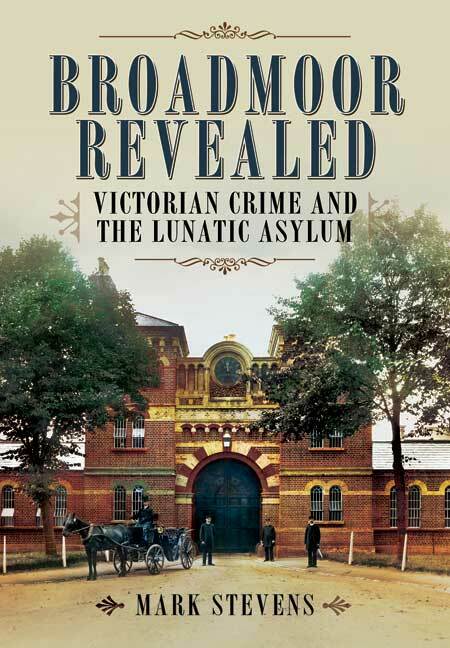 It is presented in a concise and entertaining way ... Stevens takes the reader on a journey that will challenge any pre-conceptions on the Victorian Asylum, lunatics and even Broadmoor itself. A compelling and fascinating book and a useful addition to our understanding of mental illness. It challenges preconceptions about mental illness and public reaction to shocking crimes. It challenges preconceptions about mental illness and public reaction to shocking crimes. This new version published by Pen and Sword in hardback and ebook form tells some new stories and others in depth. Broadmoor Revealed will find ready audiences. It's likely to be the popular read. Mark Stevens skilfully uses his access to Broadmoor's records and is especially good at describing the experiences of the female patients. Our top choice. Superb updated and expanded version, packed with stories of some of the colourful characters who graced Broadmoor's wards in the 19th century. Told with a witty turn-of-phrase, Stevens' entertaining style lifts these fascinating characters off the page. You'd be mad not to read it. Broadmoor, Britain’s first hospital for the criminally insane, was founded 150 years ago this month. Historian Mark Stevens has spent 10 years researching the place for Broadmoor Revealed..